The week has ended and a new week will be starting in a couple of days but I wanted to share what we have been up to this week at Ritual Waters. Monday~ I spent the past weekend up in the North Carolina mountains at Wild Herb Weekend that was an annual conference put on by the NC Herb Association. There were walks and talks and even rounds of Herb Bingo. I made an herbal tincture with turmeric, alcohol and distilled water. Turmeric has anti-inflammatory properties and I am hoping it will work on the arthritis in my wrist. 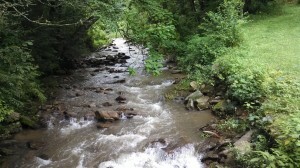 We had allot of rain on and off over the weekend which helped feed this lovely creek. 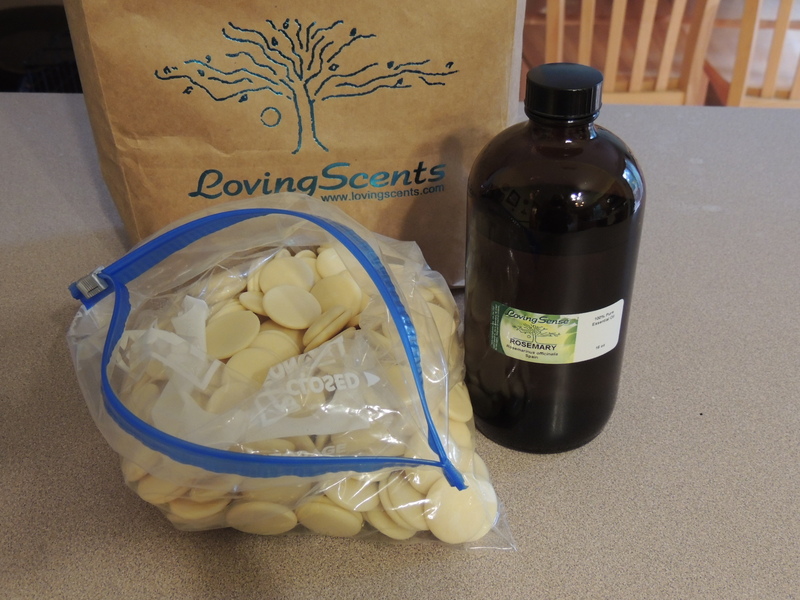 Tuesday~ I went to Loving Scents in Greensboro and picked up some cocoa butter and Rosemary Essential Oil. It is so great to be able to run there when I run out of supplies and gather together some great ingredients. The cocoa butter has such a rich chocolate scent and made me want to eat it. 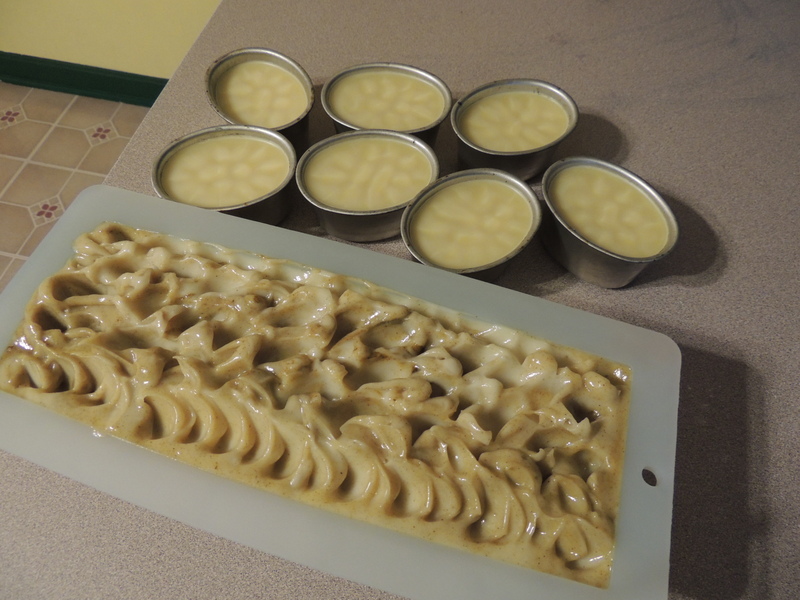 Wednesday~ Today made and filled my order for Lemongrass Lotion Bars and a custom order for Rosemary Mint Soap. My house is smelling great right now! 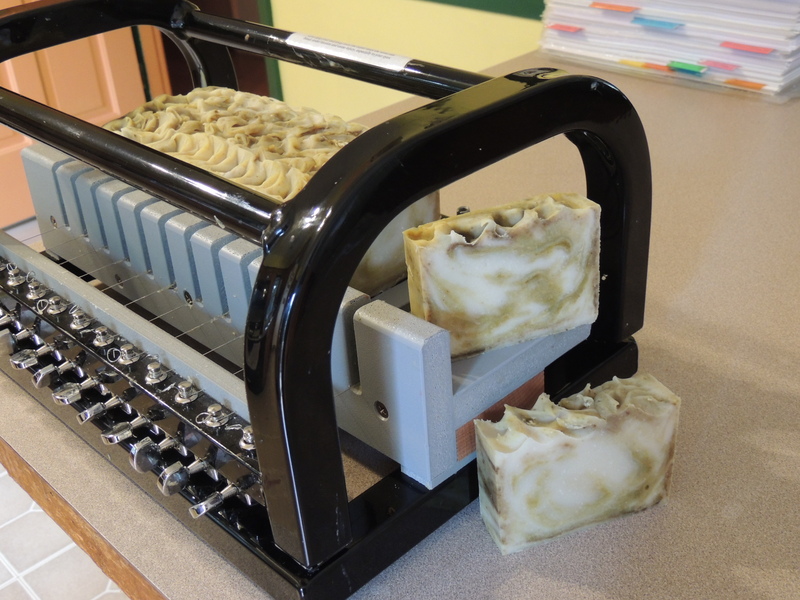 Thursday~ Cutting up the soap to get it onto my curing rack in my oh so wonderful aromatic soap room! 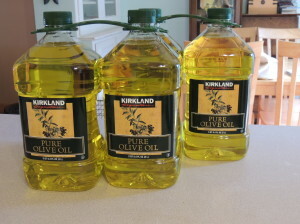 Friday~ I made a quick trip to Costco to pick up more Olive Oil as I have some serious soapin to do this weekend. Time to restock Oatmeal Milk Honey and Great Earth Soaps. And it’s time for this month’s Soap Challenge Soap which I will be showing pictures of later also! So good to hear from you Dawn- hope you get to the Faire this year! It was an awesome past weekend, my dear woman!